How To Become A Professional Soccer Player? How To Find Out Where Someone Works? How To Become A Homicide Detective? How Long Does It Take To Become A Radiologist? Tips On How To Become A Pharmacist? Best Information On How To Become A Nun? 20 Tips: How To Become A Professional Photographer? A photographer is known as a person whose profession is taking photographs of people. In recent times, it has become very easy to make money and name in any career, if you have the passion to go to any lengths in a particular job profile and keep in tune with the recent updates. Professional photography can be described as an excellent career choice of many youngsters who want to play in shades of light and ,few who are doing high profile jobs, but still want to make a name as a professional photographer in their pastime. Maybe, the reason why photography is a preferred career – one of the very few careers, where college degrees, additional certifications and age are not at all important – except for a good eye, self-discipline and quality product. Since anyone can come into the photography career, it has become a very competitive field, so be prepared to take the challenges and start small. Then, slowly, in photography terms, frame by frame, you can build a reputed name for yourself. In this article on how to become a professional photographer tips have been given on how to create a name in this competitive field. How To Become A Photographer? It is every human desire to get appreciation whether it be in his/her home, hobby or work. A person will get the maximum satisfaction if appreciation and fame are expressed in his/her passion. There is no perfect path to becoming an excellent photographer. There are some who participate in classes, or enroll in a college for arts degree courses with their primary focus on photography. There are, however, many who believe in the concept that attending college is a waste of time to becoming a photographer. There are plenty of online tutorials and books you can read on photography, but the most important is experimenting with the camera. You also have the option of learning the craft art from reputed professional photographers. There are various branches of photography and the instrument will vary according to the branch you have chosen. However, generally, you will need a variety of lenses for various situations and at least two cameras (bodies). Ah! Yes, and you need the best quality photo editing software. If you are in the idea of making an in-home studio, additional equipment might be needed, and once again, it depends on the area of specialization. It is mandatory that you need good equipment for taking good quality photos, but there is no need to invest all the savings in buying the new ones. You are still starting your career and when needed, try buying used equipment, but in the best condition; the other option is to purchase old models in discount, after new models are released into the market. Alternative options are – you can buy or rent equipment till you and your family is assured, the new business is successful. If you are in need of purchasing gear, keep a note of it (for tax write-off). Prior to booking your first/primary photo session (paid), try to gather information about error messages, setting, the challenges you can face etc. You should have gained proficiency in changing the lenses. If you are constantly fumbling with the camera and equipment, the client will have the impression you are a novice. Two events could happen in a similar kind of situation – first, you will lose clients and second, anybody can easily bet that the quality of photos is not professional. Read two to three times the manual of the camera that can help in details of the function, features. If you do not use the camera extensively, rarely will you come about the challenges, angles and other techniques. You have to experiment with light as well as shadow, various settings on the camera and get to know every nook and corner of the equipment. You have to keep your eyes and ears open. Make a note of every important point in a book/diary. Subscribe or go to a library to pick up magazine/books and any recent information on tips and tricks of camera settings. You will find new ways to use the cameras/lenses for creating wonderful photos. 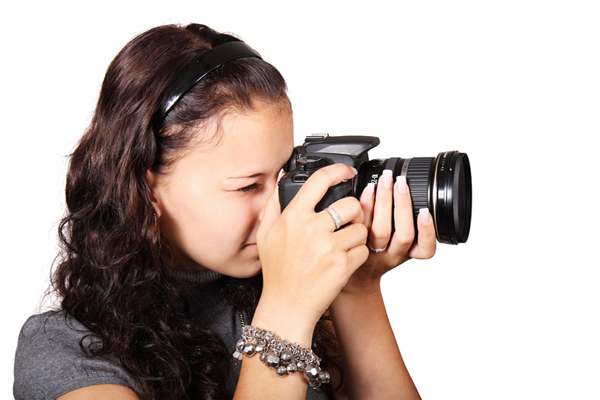 Try to gain knowledge about using the camera gear such as different lenses or remote flash. The knowledge can come in handy in unfamiliar situations. You should also know the strengths and weakness – whether your family can support in a low phase etc. Do not blindly follow like the sheep – if others are diverting towards wildlife photography, think whether you will be happy five years down the line. A proper vision and visualization gives the inner strength. It is well-known even the wonderfully-clicked photos may also need editing. By using any brand quality software, the photos can be designed to look ‘excellent’ instead of simply ‘good.’ However, check with your client as he/she might not like photographs that are over-edited or overly stylized. For getting hired by someone other than a family friend or relative, you should have a portfolio to showcase your talents. The photographs have to have different subjects and a minimum of ten themes. It takes much effort from a person’s side to give the opportunity to a novice especially on a family occasion. In case you are starting, and need some great faces, try to find new models, in need of portfolio from local agencies. The prints can be offered free. Try to locate where your passion lies – you will do different types such as wedding, landscape photography or sport but, settle on the one that inspires you. You may want to take the photograph in one angle, but the client does not accept your idea. It is okay, the photos are theirs – accept their ideas. If you are a novice, it is better to learn the tricks of the trade and the best advice is to keep quiet when the client says prefers his/her ideas over yours. The best profit will be when your client buys more photos and they will want the one done from their idea. If you are starting out, it is better to work under the supervision of a professional photographer for knowing about the business. It is not mandatory that you have to agree to everything your tutor does, get to know the tricks of the trade. You can achieve success in any career if you know how to get with people. The same applies for this profession. You should know the words to be used for making the client come again, their goals and vision before a photo shoot, keeping yourself calm when facing angry clients etc. You have to create long-term goals. Then short term goals will easily make you achieve the long term goals. The short ones should have minimum duration and measurable. For example, you should book five clients within a time frame of six months. Writing goals in a diary has been found to achieve good results. When accepting an offer, try to know every detail about the time, duration to reach the place, and include the time of editing and other responsibilities. Also know the duration the shoot will take and the time required working on photos (editing) before making the final delivery to the client. In a wedding, you will have to work during the night time. There are many options to create a free website; you can distribute business cards, and have a network with members of the photographer community. The best way to advertise is to speak for yourself. If you are active in social media, you can easily get orders. Instagram, in recent times, has been found to generate many views for photos. If you have done some great photography, you can create a watermark that can protect the photos – then distribute them online. You can put few lines regarding using the photos – when others make use of the photos for their websites or media sites, the advertising is half completed. You can also use the services of an SEO professional to make your business website come in the first top rankings of Google. If you are a wedding photographer, have contact with everyone who works on weddings. You can distribute the cards to cake bakers, florists, wedding planners, cloth shoppers etc. You can take great photos of the food and give them to caterers. They can use the photos and recommend your business. Mutual understanding – you see! You can try other options such as in a coffee shop, standing in a line etc. There are some novice photographers who mailed their pictures in separate envelopes to social media friends in their locality and another had a solo gallery in the midst of a busy marketplace. If you are asked to work in a domain that is a little bit far, such as a wedding photography from a wild one, do not turn the offers down. You can find some new points or angle and doing work outside the comfort zone will keep you on toes. However, do not get forced because of a business opportunity. If clients are happy with your work, request them to refer to persons they know. Try the repeat-business option. If you have taken six-month portraits of a baby, contact the family after six months whether they need a one-year portrait session. Your business can improve through word of mouth. You do not possess the Aladdin’s wonderful genie lamp that can make you a reputed professional photographer in few seconds. In reality, it can take months or even years in this tough competitive field to establish the name. So keep working on your normal job when you are making the transition. This will be a little difficult, but you will be glad to know that many of the photo sessions are on weekends when the school going children are home. You need to get a business license and so, search on the relevant website for your State and the required documents. You can speak with a business attorney for the specific documents. You need to insure the equipment and cover health insurance for the employees. The receipts, dates and contract details should be organized in tandem with time, year and location etc. It is advisable to keep both hard copies and soft copies of essential paper work. The most important factor in any new business. It is recommended that you create a separate bank account, update the ledger every day, and balance according to the budget. Ensure you have money to sustain for at least one year – this will make you live on till you find another job. The receipts for all expenses should be kept properly so that your accountant can file for taxes. Your income will be however subjected to self-employment taxes – so set aside money after a profitable photo shoot. Before going for a photo shoot, have a business document ready. Every detail should be included for the payment of the client, the responsibilities you are liable and not. For example, you are not responsible for photos after making the delivery (duration three days). You can either hire an attorney write the document for you or if you are in a photography group, free pre-written contract copies will be provided to members. Consider the duration of time needed for each shoot, cost of your equipment, CD images and cost of the prints and the end product along with experience. The price should not be too high to scare clients nor too low to seem unattractive. Look in the locality for other photographers. Then fix the price. It is better that you consistently keep working on personal projects. Always keep a tiny notebook handy to write down important points. Try different techniques. It is advisable to have a good photo editing software in the computer. You can do the ‘editing’ in the manual mode on the camera but ensure the adjustment is done properly. Always remember the proverb ‘the customer is always right’ – be sure to accept their view instead of your artistic inclinations. Have patience – it is only in films that a normal person becomes a “Hero” in the last quarter. Do not delete a photo unless you have it on the Photoshop program. A picture can turn to be good if minor imperfections are corrected, so do not delete in the spur of the moment. Look on the photo from different angles. Know the humanitarian straits required to become successful. Patience, trust, faith and hope are necessary qualities. Do not take pictures with the notion that they will cause a sensation. Work for fulfilling your passion and inner strength. When you surrender to the Almighty, everywhere you will feel compassion and love. A genuine smile and warm handshake can move mountains, instead of a false one and formal appearance. Pray to yourself that you should keep translating the known art into wonderful photo images that others should cherish for a long time. You might be ridiculed for the path that you have newly chosen; stay on the field on your legs and within a span of time, the bricks will become bouquets. When fame comes to you, don’t cling to it so much that you lose yourself.